Aramark, the food service running most on-campus food businesses, faces controversies for rotten actions. Photo illustration published on Monday, Feb. 11, 2019. On Monday, Dec. 3, 2018 at 8:30 a.m., the Incarceration to Education Coalition of New York University took industrial action for a social cause. The group began a 155-hour strike at two locations in protest of NYU’s relationship with service provider Aramark. Functioning multi-nationally, Aramark provides food, facility and uniform services across the industries of business, corrections, education, healthcare and leisure to the tune of multi-billion dollar revenue. Reports of inmate abuse, under-the-table money deals and labor misconduct pose serious ethical questions for those partnering with the company. Aramark’s relationship with Arizona State University is similar to the one it had, and may continue to have, with NYU. At almost any time of day, Aramark employees can be seen on each of the University’s four campuses. It serves as ASU’s food provider under its more recognizable name, Sun Devil Dining. From the Barrett Dining Hall and the Chick-fil-A in the Memorial Union to the Sonora Market and Charlie’s Cafe in Hayden Library, nearly every on-campus food business is run by Aramark. The NYU strikers were pressured with punitive action as the school threatened to revoke their housing and financial aid, according to the IEC. This was because the coalition broke university policy by staying overnight at the Kimmel Center for University Life. “Once it became clear that NYU administration was not interested in considering our demands in good faith, we moved to Kimmel (which closes at 11 p.m.), to let administration know that we were willing to use civil disobedience as a means of securing divestment,” said an IEC representative. Beyond self-operating, the majority of third-party service providers like Aramark also have faced accusations of ethical misconduct. Aramark, Sodexo and the Compass Group — called by some the “Big 3” food service providers in America — have extensive unethical rap sheets. For example, Sodexo has been accused of racial discrimination, life-threatening safety violations and abusive working conditions. Compass Group similarly has settled court cases regarding health violations, wage and hour disputes, and employee discrimination. For anyone confused about why the IEC would be opposed to corporations like Aramark in particular — and what prisons have to do with ASU’s food service provider — read on. The treatment of prisoners referenced by the IEC is just one domino in a series of piling controversies Aramark has been involved with in recent years. Aramark is contracted by many universities around the U.S. to provide food and other services. There have been several instances in recent years wherein university administrators resigned, laborers went on strike or student-activists called into question Aramark’s relationship to the prison system. Former University of Central Arkansas President Allen Meadors was charged in 2011 with a misdemeanor after having to resign for misleadingly accepting a $700,000 grant given by Aramark to renovate his on-campus house. The renovation was contingent on the president agreeing to extend Aramark’s contract by seven years, according to an Aug. 30, 2012 piece by the Arkansas Times. That is, Aramark allegedly bribed Meadors. Aramark retained its contract with UCA afterwards and continues to partner with the university to this day. Administrative misconduct in collusion with Aramark also took place at the University of Central Florida between January 2017 and May 2018, according to the university's student-run newspaper KnightNews.com. Curt Sawyer, the then-associate vice president of university services at UCF, resigned before the ethics claim against him could fully develop. Sawyer was found to have been accepting gifts from a long list of vendors, which included Aramark. The Aramark angle was particularly mired in ethical questions because Sawyer played a big role in Aramark’s takeover of student services, according to the report. Aside from the IEC’s recent moves against Aramark at NYU, there has been student unrest at universities nationwide. Students and labor leaders in the University of California system collectively called for full dissociation from Aramark in 2018 because of the company's involvement with Immigration and Customs Enforcement, according to an Aug. 10, 2018 report by the San Francisco Chronicle. A protest organized in 2012 by Bard College’s local branch of United Students Against Sweatshops called for Bard to end its partnership with Aramark because the corporation was making housekeepers choose between feeding their families or paying for healthcare, according to a statement by USAS from Dec. 3, 2012. Some universities have seen the creation of clubs solely dedicated to protesting Aramark. In October, a club established to dissociate from Aramark hosted a dining hall protest at Western Washington University, calling itself Shred the Contract, according to an Oct. 24, 2018 report in the AS Review, an alternative weekly at WWU. The club sought for WWU to establish its own university-run dining service with more health-conscious, locally-sourced food along with a student-workers union to secure fair treatment. The demand for in-house food service is a common theme among student protests against Aramark. Another instance from 2018 occurred at NYU during a Black History Month event when Aramark planned a racially insensitive meal that consigned cultural food to stereotypes. Aramark reportedly served ribs, macaroni and cheese, collard greens, watermelon-flavored water and Kool-Aid, according to a Feb. 22, 2018 report by Newsweek. This menu was created without consulting NYU and was met with immediate backlash. Universities, like most large institutions, contract third-party service providers in an effort to expedite the potential headaches of bureaucratizing their own facilities and services, but this can come at the cost of turning a blind eye to ethical misconduct elsewhere. The IEC strike was fueled by Aramark’s mistreatment of those incarcerated in prisons for which the company provides food. In Aramark’s defense, spokesperson Karen Cutler said there had been three proven cases of sabotage where inmates placed maggots in their own food. Perhaps accounting for the maggots, Cutler shifted the blame for the rats, rocks, harassment, drug trafficking and malnourishment onto Aramark employees rather than the company’s management or the company as a whole, according to the PBS report. The riots and strikes reported by PBS are not the only reported problems with Aramark’s prison dealings. A 2009 riot in Kentucky prisons was sparked by food provided by Aramark. A Kentucky state representative, Brent Yonts, told the Lexington Herald Leader on Nov. 7, 2009, that inmates had been served brownies and at least one burrito made with human feces. Yonts was a strong proponent of terminating Aramark’s contract with the Kentucky prison system, asking for a state investigation of Aramark in 2011 after a dead mouse was found in an inmate’s soup. Former Attorney General of Kentucky Jack Conway found Aramark’s actions not in breach of its contract and thus required no further investigation, according to a June 3, 2011 Herald Leader report. Yonts went on the record in 2014 saying corrections had gotten better and were doing the job they should have done all along, according to a July 4, 2014 report by NBC Philadelphia. The state of Kentucky still contracts Aramark’s services in its corrections facilities. A Dec. 23, 2013 article in Truthdig by Pulitzer Prize-winning journalist Chris Hedges detailed further the misconduct by Aramark. The article claims Aramark fired unionized correctional facility employees to replace them with nonunionized ones in an effort to pay less for labor, minimized food quality and portion sizes to maximize profit and generally mismanaged facilities. Another instance of statewide Aramark controversy occurred when the Florida Department of Corrections fined Aramark in 2008 after it found the company in violation of its contract multiple times and performed an audit that accused Aramark of “cutting costs and boosting profits by skimping on meals,” according to a May 7, 2013 report by USA Today. Following this, Florida state correctional facilities and Aramark parted ways. According to Aramark’s website, the company employs over 270,000 people across 19 countries. Because of its involvement in various industries, Aramark’s labor force is represented by a multitude of unions. Big companies such as Aramark are traditionally opposed to their workers unionizing as it puts a mediator between the company and the workers. Aramark has been implicated in union-busting tactics by former employees and activists. One example of this occurred at Morehead State University. Aramark employees at MSU tried to join a branch of the Service Employees International Union, according to a Jan. 16, 2015 report by Morehead News. With a Jan. 21, 2015 vote, the workers motioned 54-32 against joining the SEIU, as reported by Morehead News on Jan. 25, 2015. This is significant because union-busting documents have surfaced online that show Aramark taking a clear stance against its workers joining the proposed union. Some of the documents were dated to Dec.16, 2014, a month before the vote. Besides openly union-busting, Aramark has also been involved in other labor-related controversies: protest stoppages, denying meal and rest breaks, underpaying labor and racial discrimination. The Office of Federal Contract Compliance Programs announced in 2015 that Aramark would be paying $165,000 to settle claims of systemic hiring discrimination on the basis of gender and race. While the company did not admit liability, it did offer 53 jobs to former applicants as well as revise its hiring process, according to a Nov. 23, 2015 report published by the United States Department of Labor. Evidence of Aramark denying laborers meals and rest breaks comes from a 2010 wage-and-hour lawsuit against the company. Genaro Zendejas Morales v. Aramark Corporation alleged that Aramark “denied its workers the meal and rest breaks to which they are entitled under California law,” according to an April 6, 2010 article by Law 360, a LexisNexis company. ASU partners with LexisNexis to offer ASU affiliates access to the company's research databases. The report also claimed that the settlement agreed upon $3.9 million to be paid to those party to the class-action suit. Work stoppages against Aramark occurred in 2008 when hundreds of food service workers rallied for higher wages and better benefits, according to a March 6, 2008 report by The New York Times. Aramark has been found to work with labor unions against the wishes of some of the workers it represents. The agreement in question dictates where unionization can occur. The SEIU and Unite Here gain “labor peace” but give up considerable autonomy. An Aug. 22, 2008 report by Inside Higher Education detailed how this agreement affected student activists of the University of North Carolina at Chapel Hill. The students agreed to stand in protest of Aramark at their university at the behest of union leaders. The union leaders ended up abandoning the cause and the students were allegedly intimidated by Aramark executives, according to the report. Aramark disputed the students’ claims of intimidation. Through all of these events, relative to its size and resources, Aramark is able to recover without missing a beat — adding to the complexity is all the people caught in the middle of the controversies. Aramark uses union-busting tactics, keeps administrators in its pocket and blatantly ignores student demands. At just under $16 billion in revenue in 2018, Aramark has the resources and power to make company policy changes behind closed doors, settle cases out of court and hush detractors. Though scrutiny of individual relationships is important, the mass food service industry has inherent problems stretching beyond just Aramark. As mentioned above, companies like the Compass Group and Sodexo have been found to engage in ethically questionable practices not unlike those by Aramark. USAS Local 85, ASU’s chapter, told State Press Magazine the organization stands in solidarity with the IEC at NYU. USAS cited Aramark’s history of unfair labor practices, acts of cultural insensitivity and contributions to the prison industrial complex as reasoning behind its support, according to a statement the local sent to State Press Magazine. “We are keeping track of the unfair labor practices that (Aramark has) committed on our own campus and encourage ASU administrators to look into Aramark and reconsider our University's contract with them,” USAS Local 85 said. Reach the reporter at aalmouai@asu.edu or follow @zamurai_96 on Twitter. 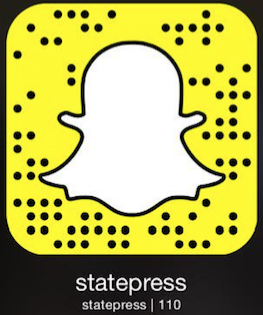 Like The State Press on Facebook and follow @statepressmag on Twitter.